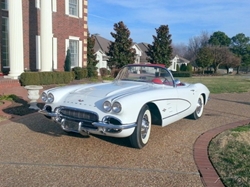 First-ever exported 1961 Corvette (now returned to US) to be auctioned online by Bid Network Online (BNO.com). 1961 Chevrolet Corvette "Export Vette"
A fully restored 1961 Chevrolet Corvette has quite the passport and is up for auction online at BNO.com. This rare, collector’s Corvette was exported to Germany in 1961, and quickly became known as the “Export ‘Vette.” Painstakingly restored to its original condition, this one of a kind Corvette is part of a Classic & Exotic Car Auction at Bid Network Online at http://www.bno.com, on Wednesday, June 1st at 12 pm PDT. Bid Network Online is the world’s first interactive, live-streaming online auction marketplace featuring weekly vehicle auctions. Instead of cruising up and down the American highway system, the “Export ‘Vette” traveled its first miles on Germany’s Autobahn. It comes with its original German title, registration and servicing guide. There is even a photo of its original Munich dealer sitting behind the wheel. Every nut and bolt has been restored to its pristine factory conditions. Its immaculate condition was preserved by its longtime maintenance in a climate controlled garage. Adding to its distinctive charm are rare factory options such as electric windows and a power-operated convertible top. More than $100,000 was put into restoration, and no detail was too small. This 1961 Corvette has the original lacquer-type paint used when it rolled off the assembly line, as well as crayon marks on the frame in the exact same the location as when the car was new. This attention to detail won the car the 1994 Top Flight Award by the National Corvette Restorers Society. It was also a 2002 inductee into the Bloomington Gold Hall of Fame (invite only). Other honors include Gold Certification by NCRS and a detailed feature in Vette Vues Magazine, an original copy of which is included in its sale. '65 Shelby GT350. This is Mustang #2 of 3 made. Used in the Carroll Shelby School of High Performance Driving (now the Bob Bondurant School), this limited edition Shelby is completely restored to concours condition and fully documented in the Shelby Registry. ‘88 Ferrari 328 GTS. This White with Red leather interior Ferrari has 49,232 miles and comes with detailed service history. '57 Chevrolet Bel Air.. This second generation Bel-Air is powered by a C4 Corvette LS1 motor which is mated with an automatic transmission. ‘66 Series 1 Roadster. Matching numbers engine and transmission and includes a Heritage certificate. Restored in 2012. First place JCNA Concours winner 2013, 14 and 15. As with all Bid Network Online auctions, bids can be placed at anytime prior to the auction date and there is no cost to place a bid. Bidders may also contact Bid Network Online for more information about any vehicle at auction. '61 Chevrolet Corvette "Export Vette"Known as the "Export 'Vette," this extremely rare 1961 Corvette is the only '61 of its kind known to exist in this country. 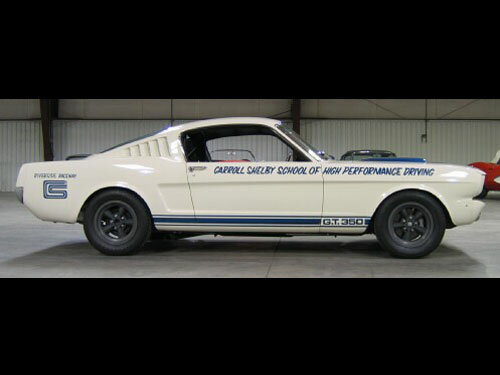 '65 Shelby Mustang GT350This ultra rare Mustang is one of the most sought after classic Ford Mustangs in the world. 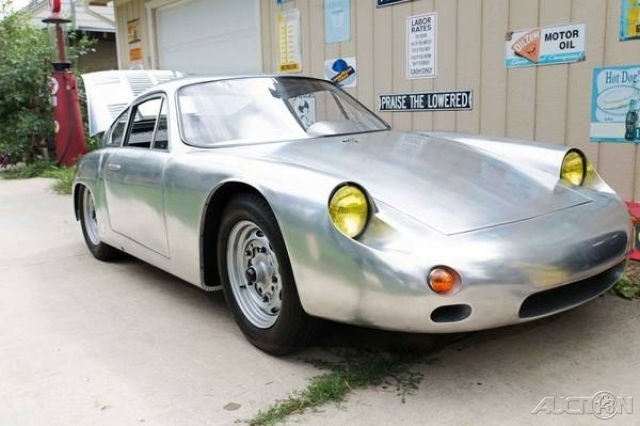 '61 Porsche 356 CarreraOne of only 20 originally made, this two door, high performance coupe is among the rarest Porsche models in existence.